If you have a DUI arrest in Burbank (alcohol or drugs), legal representation can be critical to determine your best solutions. DUI cases have specific legal requirements, unforgiving DMV deadlines & suspensions, as well as the need for prompt evidence evaluation. Don't go down that road alone, or handle the case yourself. You need a DUI Attorney. George Kita has handled 100s of Burbank DUIs, while working as a prosecutor & defense attorney. He thoroughly understands the DUI process, specific legal issues which may arise, and steps which must be taken to protect his clients' rights with Court and DMV. He can help you, too. Call Burbank DUI Lawyer George Kita, now, at 818-536-3630! A common scenario in Burbank DUIs is the mistaken believe that DMV/Court will ultimately dismiss a case because of minimal evidence, when the opposite is generally true. "Wait and see" oftentimes results in license suspensions, as well as the subsequent shock of serious criminal charges at court, with possible consequences of jail, DUI Programs, probation, fines, and a 2-point DMV conviction. 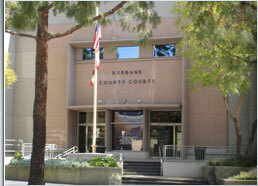 Burbank Police, as well as the City Prosecutors, aggressively handle DUI & Drunk Driving charges. A DUI will proceed in court even in cases with test results of less than a .08 Blood Alcohol Level, or low levels of prescription medication (or other drugs), if other factors exist, such as unsafe driving, appearance of impairment, or previous negative driving history. However, police officers and chemical tests are not perfect. Machines and people make mistakes. Even if you think you may be guilty of DUI, it is still important to assert your right to legal protections, have your case carefully evaluated (especially the testing process), to determine if you have defenses. Thus, DUIs should always be carefully evaluated for DMV & court options by an experienced attorney. Contact Burbank DUI Lawyer George Kita, immediately, at 818-536-3630, to learn about your options! *DUI results at DMV and Court depend on unique circumstances of each case.